How to get Pipplet evaluation credits? To get Pipplet evaluation credit, create your Pipplet account just here or if you already have an account log in here. 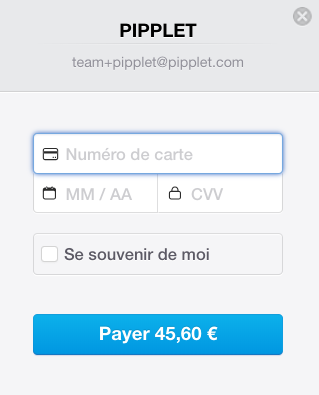 Once the payment is done the credits will immediately be available on your Pipplet dashboard. You will receive our invoice by e-mail. No other action is needed to get your evaluation credits. Your order is immediately available on your Pipplet dashboard. You can to proceed to the payment once you will get our invoice.